Update 26 April: The Guelph Raring Ringtail Release Party is on! And there’s some pictures of the KW Raring Ringtail Release Party. 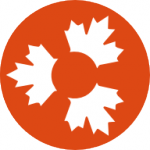 The KW chapter of Ubuntu Canada is having a release party for the latest version of Ubuntu, named “Raring Ringtail” on Thursday, 25 April 2013 at 7:00pm at the Kwartzlab Makerspace. There is also a Toronto Raring Ringtail Release Party. Join Michael Kaulbach for a bottomless cup of coffee and free Ubuntu cupcakes! And there are rumours afoot of a Raring Ringtail Release Party in Guelph. More details as I unearth them…. Updated 26 April 2013: It’s here!